It is quite a misnomer to name this album “Stellar” as there is nothing in here that can be called as stellar performance. But it doesn’t mean that the whole album does not have some merits. This album contains 6 original compositions and 2 bonus tracks released by Ivory Records. 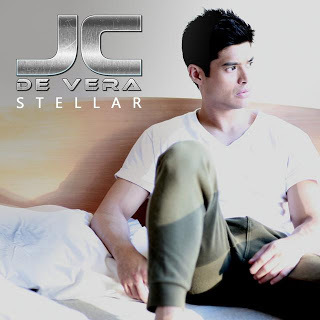 Here is a track by track review of JC De Vera’s debut album. · Langit Na Rin – Sounds like an old ditty called “Ipagpatawad Mo.” The kind of song appropriate for teeny bopper love teams. And considering that JC De Vera has already ventured into more mature and adult roles in TV series and in some movies, this track somehow did not work on his favor. · Galaxy of Love – If JC De Vera wants to find a niche in the music world, then he should choose dance hall music. It seems that his thin voice is a very effective vocal accompaniment to tracks that sounds like electronica in the old days. His vocal performance here is akin to that male vocalist used by EDM artist Chicane in many of his tracks. This is a good dance track for youngsters to sway their hips. · Heaven Knows (This Angel Has Flown) – An acoustic track which is quite predictable. This song drowned whatever positive aspects he achieved with tracks prior to this song. The song could have made use of heavy drum programs and orchestral background to make the song more dramatic ala “Hello” of Adele or “You’ll See” by Madonna. On the positive note, he does well vocally in this song as his voice fits to make this track sounds heavenly. 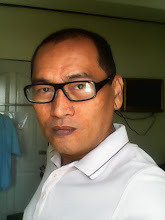 · Pakiusap – This track has the usual problem with regards to OPM music; that tendency to sound retro as if OPM should sound like seventies ballad done by Vic Sotto, Boyfriends, or by that Spanish singer AMB Morales or Junior (remember Yakap?). · Bonus Tracks – an acoustic version of Langit Na Rin and an instrumental version of Pakiusap. These are your usual album fillers with OPM albums. It is quite a good strategy for the record producers to fill up the album with original composition and none of the usual standard OPM fare of doing cover or remake versions of old hits. Thus, the whole album stands out as totally JC De Vera. Despite some vocal limitations, doing all original stuffs work in his favor as listeners will not compare him to other singers, instead judge him on his own merits. With that, this album deserves several playtime. This is a good and above average debut album.